Travel writers, did you know that a great photo can not only enhance your story, but can make it easier to sell? In some publications, photo submission is mandatory. The good news is that you don’t have to be a professional photographer to take quality photos, but you do need to know how to take great travel photos. And, of course, you’ll need a decent camera. Digital cameras are the best because digital photos are higher in quality. These cameras come in many shapes, sizes, and colors. Purchase one that is right for you. This is a great way to preserve your travels. When your memory starts to fade and takes with it your travel stories, you’ll have your photos to look at and appreciate. The Photographers Life. If you can write a travel article to sell with your photos, you can make money! You don’t have to leave home to get started. Grab your digital camera, creative spirit, and drive for adventure and fun. The Travel Writers Life. If you’ve ever dreamed of being a travel writer, getting paid to explore the world, and taking pictures to capture your travels…then this is the best place to begin your adventure. EscapeArtist. Boosting photography tips for travel writers. Live where you would like to live, how you would like to live, and make money doing it! International Living. Are you able to take a simple photograph? If you said yes, then you can make “extra cash” by selling your photographs from your travels. 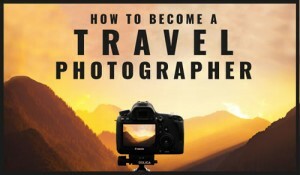 This is in addition to incorporating your photos into your travel articles! Pop Photo. This is the online home of Popular Photography and Imaging and American Photo. Filled with all sorts of “goodies” from how to, test and reviews, forums, galleries, workshops, buying guides, and much more! National Geographic. One of the most popular magazines offers specific photo tips such as travel, landscape, digital, action and adventure, and people and portraits. They also offer tips on photography tips on shooting videos. BetterPhoto. Think before you snap that picture! Decent equipment helps but all you need is to pause before each shot to think clearly about what you are attempting to capture or create. BetterPhoto offers guidelines to help novice, non-artistic, and/or non-technical picture-takers immediately improve their photography. Photography Tips. Offers tips, tricks, and techniques to improve your photography skills or gain new ones. Kodak. Kodak’s new slogan is “Take pictures. Further.” If you wish you were a better photographer then Kodak can help you. If you have a little “know-how” and experience, grab your camera and start snapping those pictures. Best-Family Photography. Color photos are great but black and white photos are timeless, elegant, and popular. If shot correctly, a black and white photo can emphasize the depth of the photograph. Lonely Planet Guides. Check these out these Lonely Planet Guides on photography: Travel-Photography-Taking-Better-Pictures, Landscape-Photography, People-Photography, and Wildlife-Photography. Quality and resolution. This is one of the biggest factors when people use digital. Always use the highest quality. Depending on your camera, it will be the fine mode or have a quality setting. Composition. Real life is in 3-D! Pictures are in 2-D! Choose solid backgrounds if you can. Are you in focus? Did you capture all of the elements that you want to see? Light. If you are shooting in a “dark” place use your flash! Natural light is always best. Equipment. Do you have a camera bag? If you bought a digital camera you will want to protect it! What about a tripod? Perhaps that shot you desire is far away. It can be difficult to focus and line up. A tripod can help you “capture” that awesome shot!